OK, I confess. I’ve ignored QuickTime Player since it was first released as QuickTime Player X with the original release of macOS X. When the new version was compared to the features, power and flexibility in Quicktime Player 7 Pro, the new version failed just about everywhere. 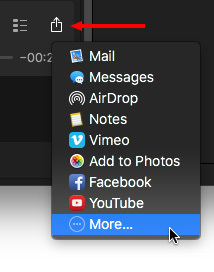 However, recently, I was exploring the menus in QuickTime Player and discovered that, over the years, Apple has added significant features that make it worth reconsidering – even for us QT 7 snobs. In fact, the new version can do many things that the old version couldn’t; though, to be truthful, the old version still wins in several areas. 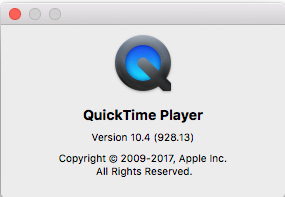 NOTE: When I say “new,” I mean the version of QuickTime Player shipped with the current version of the macOS. And, while the old version still has a few tricks up it’s sleeve, in the next OS upgrade or two, the old version is will stop working because it is only a 32-bit application. So, change is coming. Also, more changes are coming with the upcoming release of macOS Mojave, which adds video editing capability to QuickLook. I’ll cover that when the new OS is released. The new QuickTime Player can record your screen (File > New Screen Recording) or record a movie from an attached iPhone, iPad or the built-in camera on your Mac. 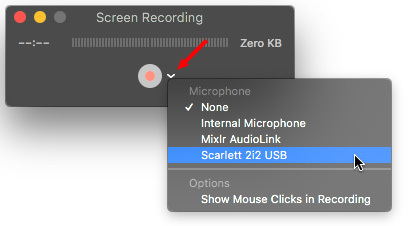 Click the small bullet in the Menu bar to stop recording. Choose File > Save to save the recording. NOTE: This file is saved as an H.264 QuickTime movie with AAC audio. This quality is fine for illustration and emailing. However, if you produce screen captures professionally, recording in a higher-quality format, such as ProRes 4444 and Linear PCM audio will yield better results for editing and distribution. The secret is in the View > Show Clips command. Footage courtesy: Anne L. Gibson, Toucan Productions, Inc.
Once you split the movie into more than one clip, drag any section anywhere in the movie to rearrange it. NOTE: Press Option while dragging to make a copy. NOTE: To make more precise adjustments, click and hold the yellow handle to see pseudo-timecode. Hours, minutes and seconds are accurate. However, actual frames are replaced by hundreds of a second. Using the Edit menu, you can also rotate the selected clip in 90-degree increments; which, frankly, is stunningly weird when you play it back; but perfect for handling vertical iPhone videos. You can also use QuickTime Player to append multiple clips together, though, truthfully, we have much more control over this process in a standard video editing application. 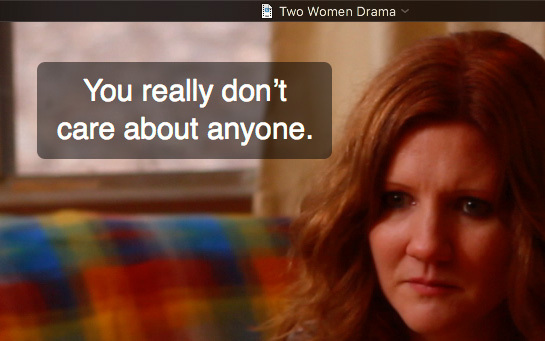 The View menu allows us to display subtitles and, if provided, switch between languages. The Movie Inspector (Shortcut: Cmd + I) provides a very useful summary of the tech specs of a clip. I find myself using this all the time to verify clips and compression settings. However, what you may not know is that you can create custom sharing destinations for a wide variety of other destinations by choosing the More option in this popup menu. NOTE: More does not exist in the File option in the Menu Bar, only in the playback controller. 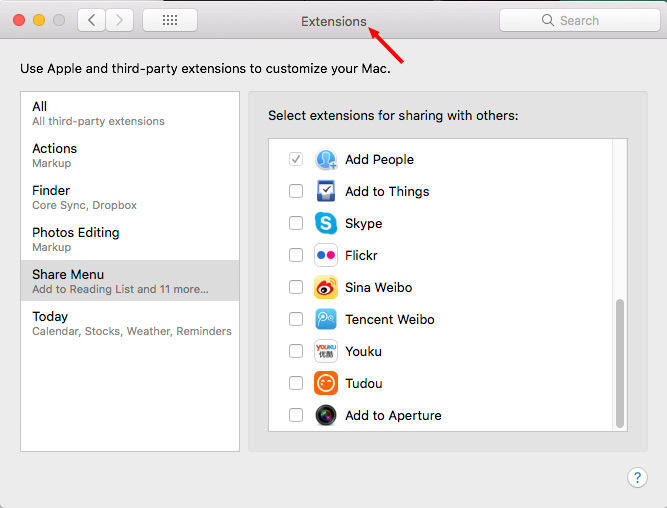 The More option actually opens a System Preference (called “Extensions”) that allows you to customize the Share destinations across multiple apps. The Export menu allows us to resize the movie to something smaller (which preserves image quality), as well as extract just the audio from a clip. Still, the usefulness of QuickTime Player has significantly improved over the years and, if you haven’t looked at it recently, the time has come to give it a second look. Still missing being able to copy new sound from a sound file in to a QT movie. This is very deceiving, even annoying; it is a very basic feature present on very old QT Player versions… just copy the sound file and paste it to the movie at start, come on. If I’m wrong, please tell me the way. Yeah, what he said!!! Apple has steadily been going downhill over the years and screwing up so many good things. Don’t even get me started on iMovie. It was awesome as iMovieHD 6 but I hate it now. Ok, sorry, I got myself started. I could go on and on about dumb little things that they have done that are completely annoying but it would get boring. Suffice to say I am not a fan anymore and I used to love apple. I use QT nearly every day to film my guitar playing so I can see what worked and what didn’t, some of the music is fast and by the time I realize I hit the wrong notes I am into the next bar. Like filming a golf swing can improve your game, it really helps me to watch my hands when I can slow things down. I read the other comments, Aubrey had mentioned the same issue I find very annoying. I can split the clip only once. My files are nowhere close to GB sizes. I just went and looked at the help page, knowing I was missing something. It will split multiple times. At any point in the timeline, you can choose Edit >Split Clip to split the *selected* clip. You need to select the clip you want to split. I overlooked this. I always keep a copy of any version software I install. Like QT7. I have upgraded things before to discover that they hobbled or removed features. I keep old machines around in my studio to run the stuff I paid a lot of money for. It worked when I set it up and it still runs today. 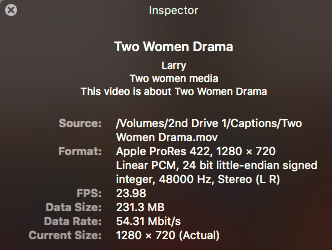 How am I getting in Inspector a 32-bit Integer (Big Endian), Stereo-L/R, 44.100kHz .mov file recording the sound off a YouTube video feed using Soundflower and Quicktime player 10.0 (131) at Maximum Quality on a 2010 MacMini in Mac OS 10.6.8? Does this mean I have a 32-bit Analog to Digital hardware converter? Or is this software upconverting or interpolating from internet 16bit to 32bit? Thanks for the feedback. The source format of an audio file does not determine how you can record it, but it DOES determine the quality of the recording. For example, if you start with a 16-bit master, recording at 32-bit, which is native for the Mac, still yields 16-bit quality – the extra precision is just “zeroed out,” meaning it has not impact on the audio. And, yes, in order for ANY computer to record audio, there needs to be an analog-to-digital converter in your system. If you are using the mic/line input, the conversion is handled by the operating system.